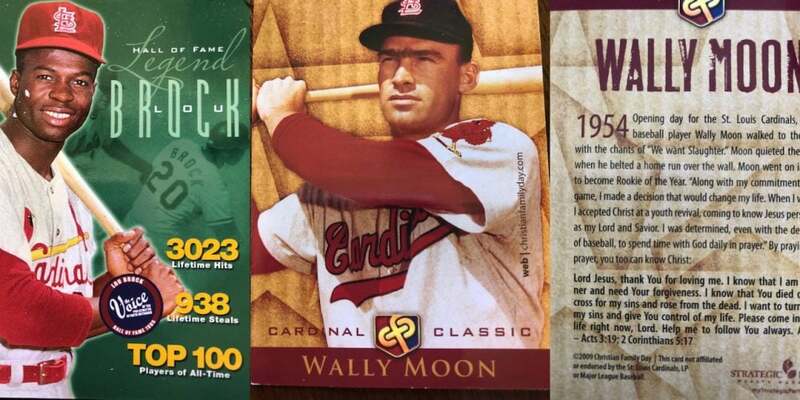 Individual and personalized attractive collectors’ cards for each of these well-known sports figures have been prepared through the years … listed here in reverse alphabetical order, mostly St. Louis Cardinals, but some with other teams and sports. Collectors cards for many of them are still available (but not all) … for you to have and distribute. To get a quantity for distribution, Call Randy Curless at (636) 248-3749. A lot of inspirational sports stories in this radio conversation. The Jim and Judy Boen family have always been huge St. Louis Cardinals Baseball fans, often going to their annual spring training in Florida … and to many games throughout the season. This led to personal friendships of the Boens’ and the players and coaches, with daughters Angela and Christi Boen often babysitting for some of their children. In 1999 one of those friendships was with Cardinal sensation J.D. Drew of Georgia. Being very shy, he told the Boens how uncomfortable he was in signing autographs, for which he had so many requests. Christe Boen (now Doctor of Chiropractic Christe Boen Mirikitani) offered to produce for him a personalized ball card that would picture him in his Cardinal uniform on one side and his brief testimony — since he was a born-again Christian – on the other. J. D. liked the idea … and Christe made it happen. Instead of signing an autograph, he would give out his card. In the Cardinal clubhouse, other Christian players saw J.D.’s cards and asked where he got them. The Christian players let the Boens know they would like such a personal card for themselves. So, at their request, Angela Boen (now Noll) would interview each player about their Christian testimony and summarize it to fit the back of their card. The Boens, with their support of others, had the cards produced in large quantities. The prayer of calling on the Name of the Lord is so similar to my personal prayer of commitment when I called upon the Name of the Lord the night I received Jesus Christ into my life decades ago … when I was a high school teen-ager. Thank God for J.D. Drew’s shyness! It was used of God to advance the Great Commission of Jesus in Matthew 28:19-20. Many players have advanced the gospel using their cards. Not only in English, but Albert Puljos has cards written in Spanish. Albert Pujols is one of only four players in the entire history of major league baseball who has to his credit 3,000 hits and 600 home runs!! And Japanese St. Louis Cardinal So Taguchi has his card written in Japanese. Missionaries and Christian visitors have distributed the cards in Japan. Want to get in on this as another opportunity to obey Jesus command in Acts 1:8? Thousands of these cards are still available … with your promise for you to pass them on to others. Randy Curless of Sports Crusaders (www.sportscrusaders.org) has agreed to oversee much of the distribution of the cards. Randy can be called at (636) 248-3749. Hear Judy Boen and daughters Angelia Boen Noll share some of these great stories … in their own words.